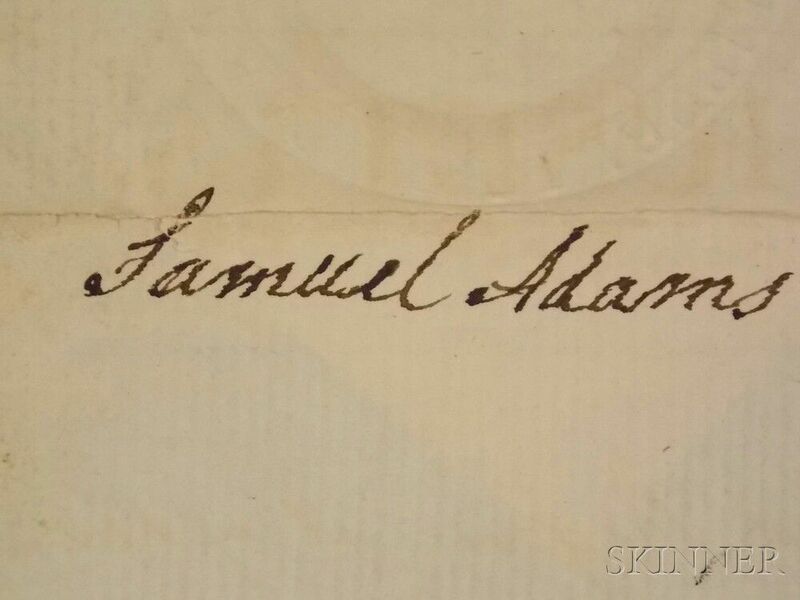 Adams, Samuel (1722-1803) Printed Document Signed, 1 January 1796. 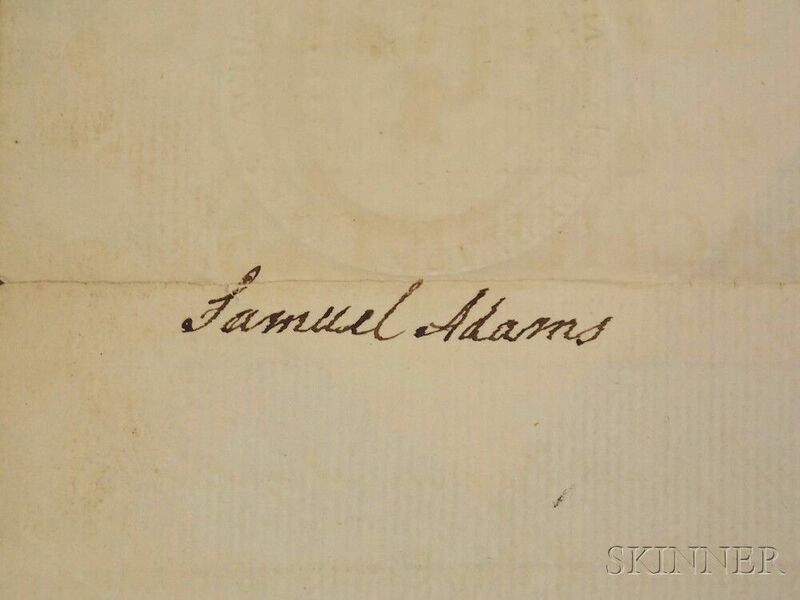 Adams, Samuel (1722-1803) Printed Document Signed, 1 January 1796. 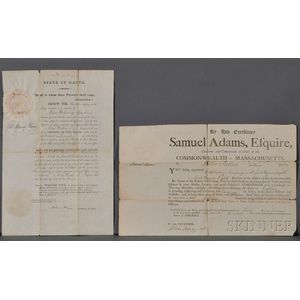 Single page, partially printed document on laid paper. 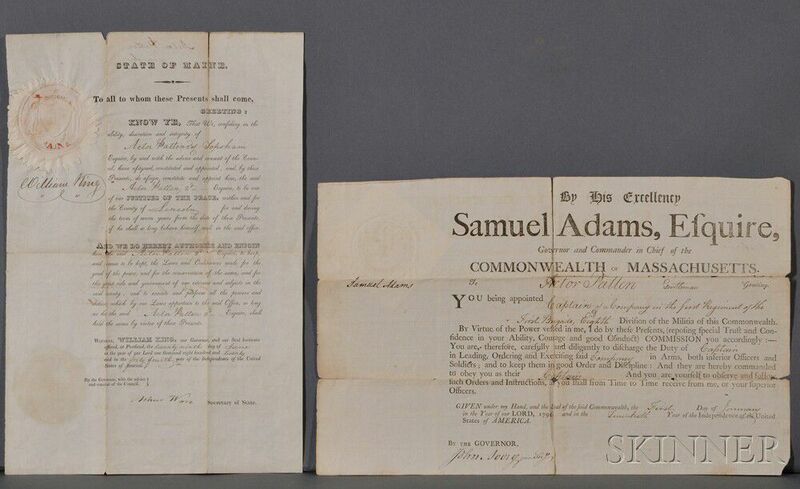 Appointing Actor Patten Captain of a Company in the first Regiment of the First Brigade, Eighth Division of the Militia of Massachusetts, signed as governor, with his seal, countersigned by John Avery, folded into sixths, broken along the folds, 15 1/4 x 9 1/2 in.